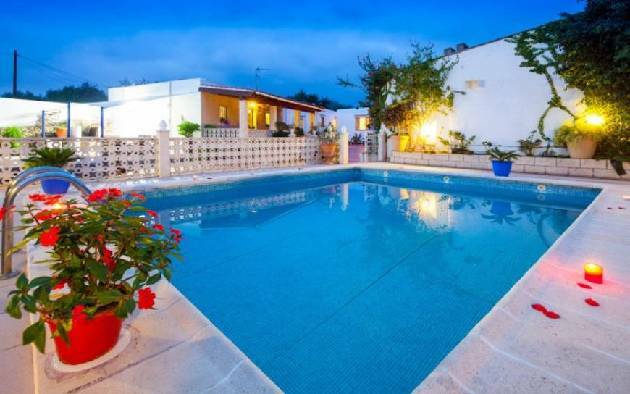 Absolutely stunning waterfront property near Cala Conta and at walking distance to a nice, sandy beach, located in a huge park of more than 100 palm trees. 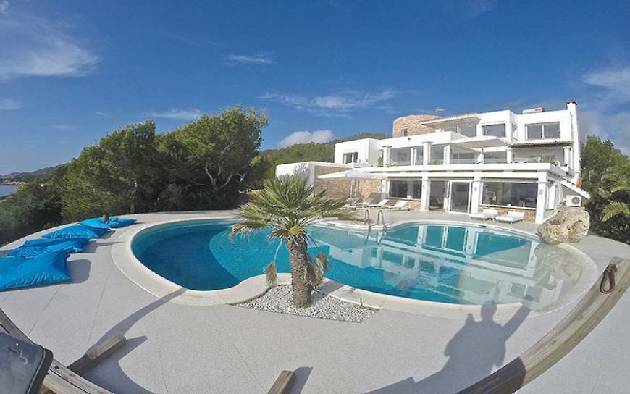 This stunning waterfront mansion of 600 m2 is peacefully located on a plot of land of 12.000m2 near the beautiful sunset beach Cala Conta in the southwestern part of Ibiza island. 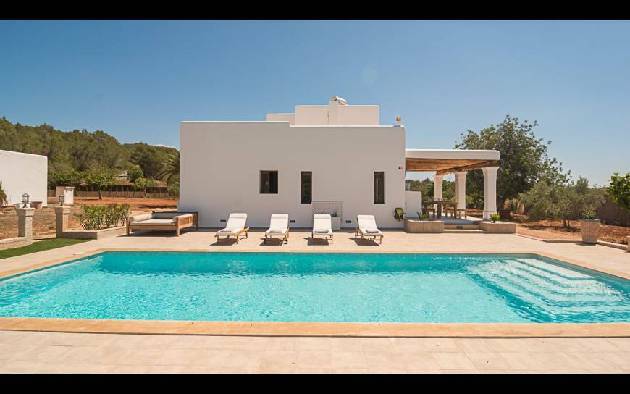 Villa Starflower is a modern villa set high at 220 m above sea level with spectacular un-interrupted views towards Formentera, Ibiza town, Salinas and beyond accessed via a private road. The Villa is set behind secure electric gates. 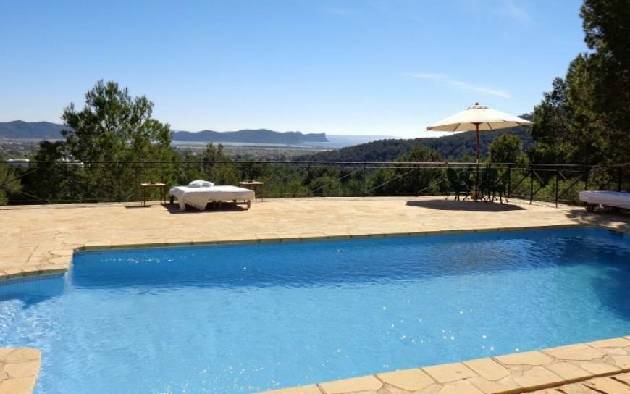 Being on of only a few houses set high on this Mountaintop, the Villa is very private Large contemporary property located on top of a hill overlooking the Mediterranean with a spectacular view to Ibiza town, Salinas and up to Formentera. 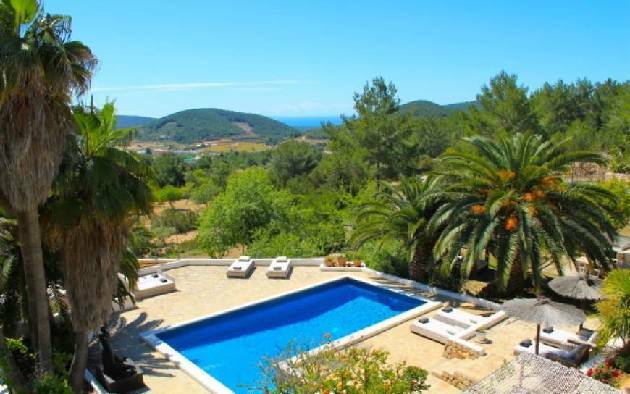 The villa is superbly located half way along the road from Ibiza Town to San Jose with fantastic 180 degree views of Salinas beaches, Formentera, Ibiza Town and the airport. Perched dramatically on the hillside overlooking the dazzling Mediterranean, Villa Silk exudes an air of grandeur and opulence. From the impressive curved terrace you can enjoy a birds-eye view of the picturesque houses below. 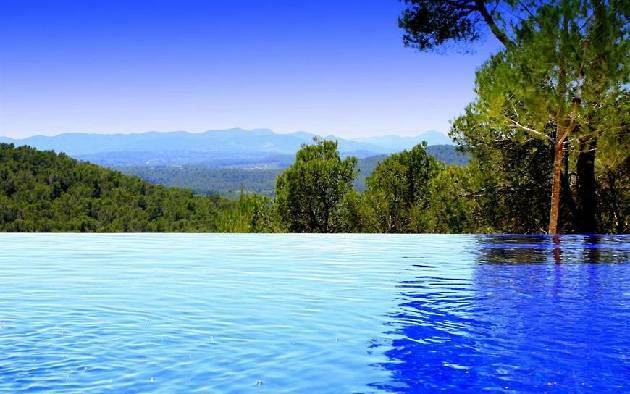 In the embrace of its turquoise infinity pool you will feel part of the sparkling sea beyond. 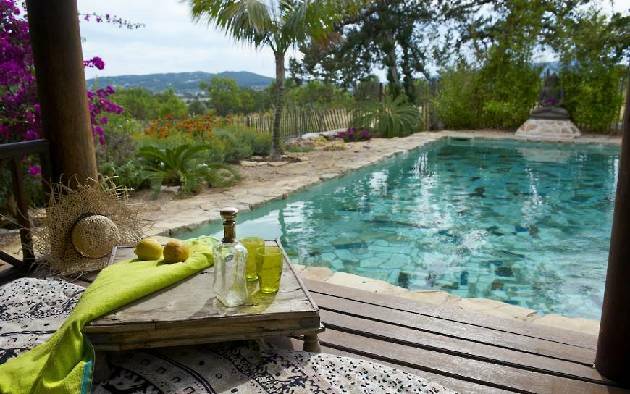 Recline on an enticing sun lounger and the Ibizan sun will help soothe away your everyday cares and concerns. 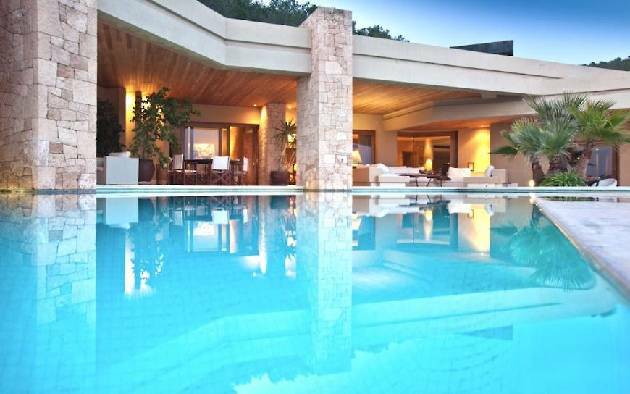 At Villa Pep Simo Sea you’ll be transported to the height of luxury and relaxation. 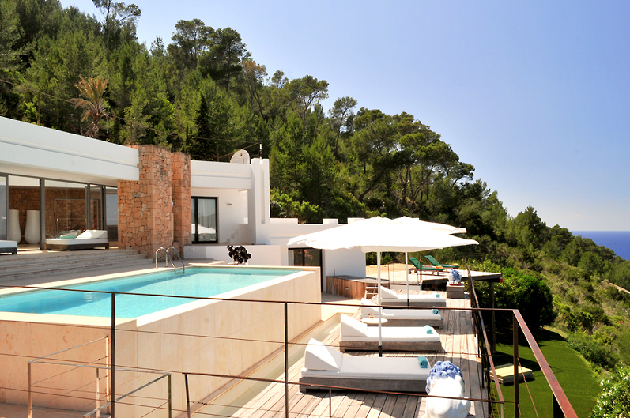 High above the Ibizan coastline but just minutes from the beach, the gated Villa Silk is a hugely desirable villa. 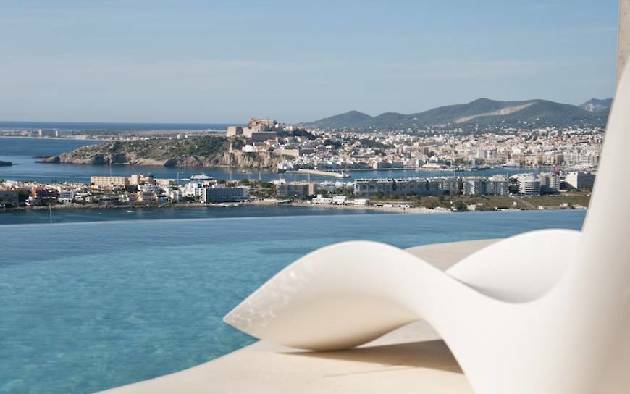 Laid out before you are spectacular panoramic views of Ibiza Town and the distant island of Formentera. 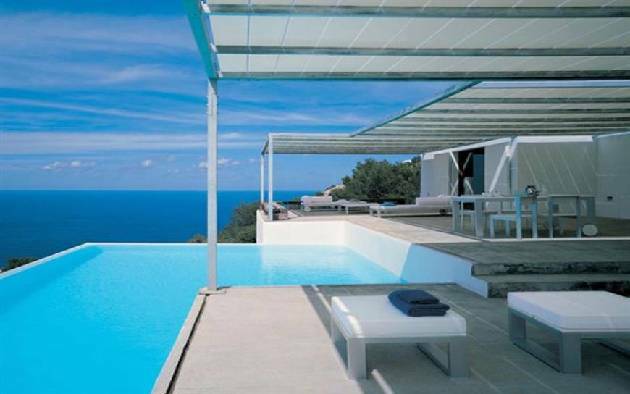 The villa’s modern design skilfully blends into its cliff-side habitat, its wide open terrace soaking up the sun. 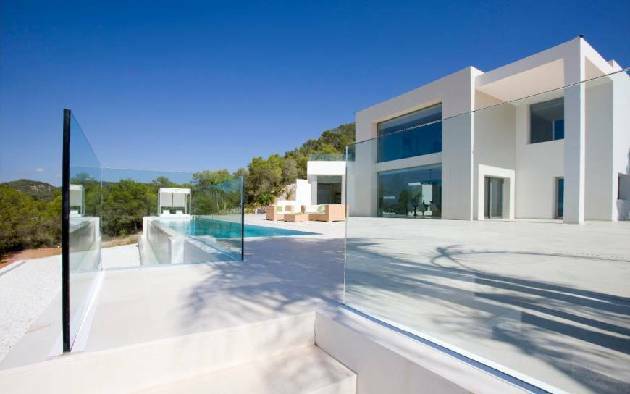 Acres of glass allow the light to flow freely through open plan areas. During sun-kissed summer days or as dusk falls, there are few better places to admire the glittering coast and sea. 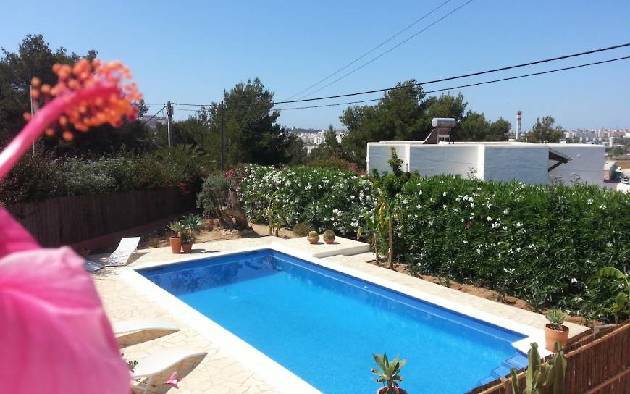 Absolutely stunning waterfront property near Cala Conta and at walking distance to a nice, sandy beach, located in a huge park of more than 100 palm trees. 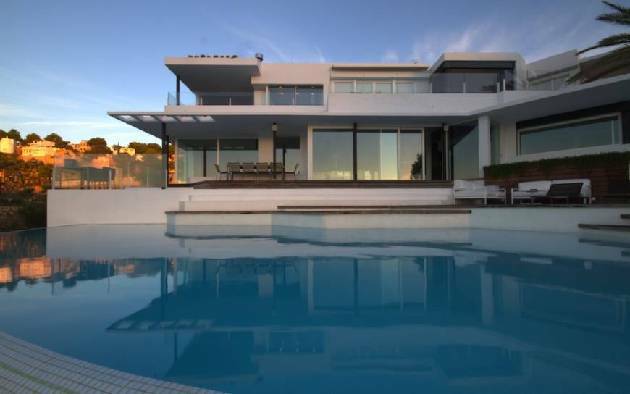 This stunning waterfront mansion of 1400 m2 is peacefully located on a plot of land of 12.000m2 near the beautiful sunset beach Cala Conta in the southwestern part of Ibiza island. The gardens of this property are truly out of this world, featuring more than 100 palm trees of different kinds, olive trees of more than 100 years, 4 m long antique amphores, exotic plants and animals such as swans as well as a large koi pond with at least 30 of this highly priced fish species. 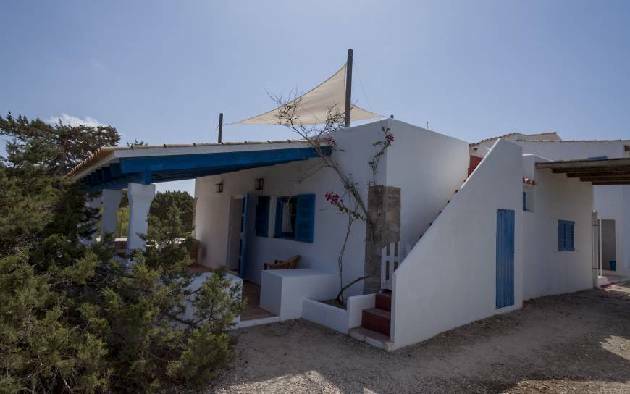 This is the distinctive “white house” in Cala Carbo on the southwest coast of Ibiza boasting unrivalled views of the nature reserve Cala d´Hort and the magical rock Es Vedra. 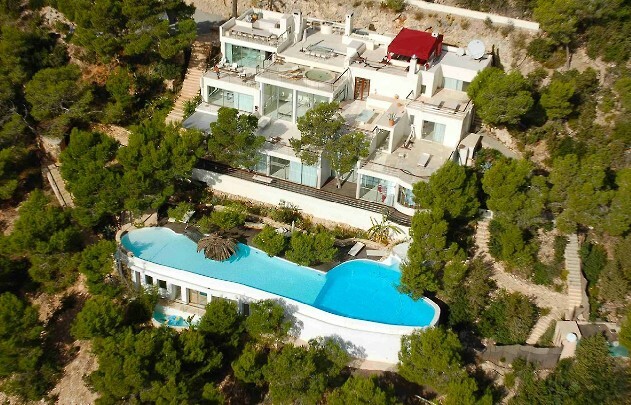 Villa Thalia is located in Cala Carbó, one of the most protected nature reserves of Ibiza where the magical rock Es Vedrá rises out of the sea like a majestic sculpture. The beach is 5 minutes walking distance from the villa. Cala Garbo beach offers two restaurants with great fish specialities. Its one of the most relaxing beaches of Ibiza, with comfortable sun loungers and palm leaf parasols. 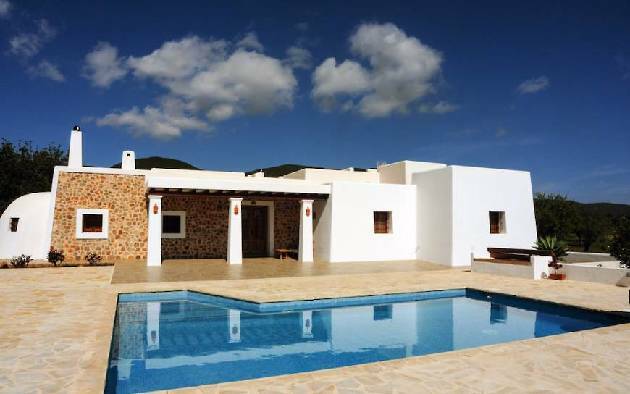 Roximei house is a beautiful newly renovated Ibizan house, located in the center of the island in a unique setting, overlooking a beautiful valley and mountains, in what might be called a paradise of nature typical of the island for those wishing to spend absolute tranquility in one of the most genuine diamond areas and less exploited for tourism policies, yet very close to everything: the beach, the towns of Santa Ines, San Mateo, Santa Gertrudis and San Rafael. Located in a protected area of forest. The country house with walled ingrounds provides great privacy and security. Lovely sea views and sunsets. Beautiful gardens with water features and chill-out areas in Balinese gazebos. Interior decoration with old teak furniture and other luxurious details. 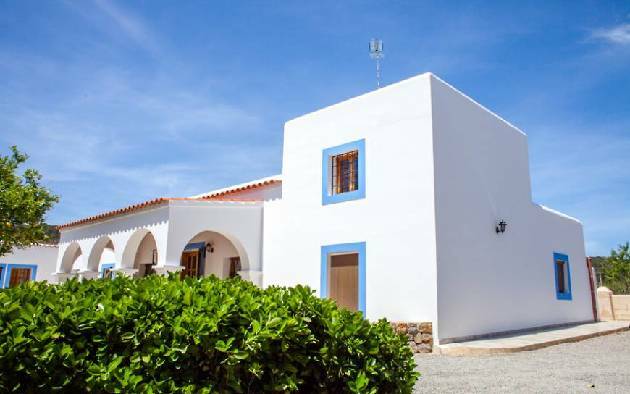 It is the perfect location if you need a quiet holiday, as a couple or with family, as it is very private and family friendly. Its garden is beautiful and perfect for wedding ceremonies or simply dinner by the pool. 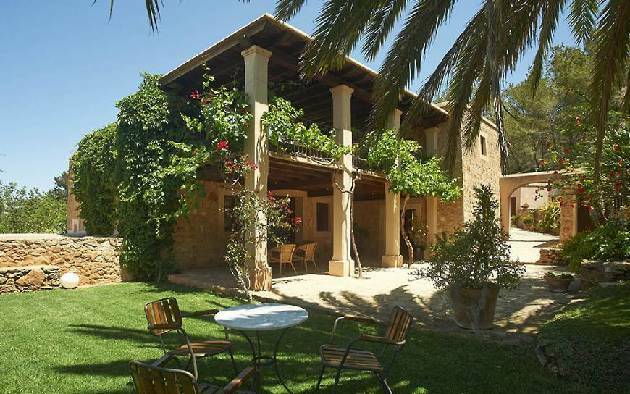 It is also ideal for use as a filming location as well as any private event. 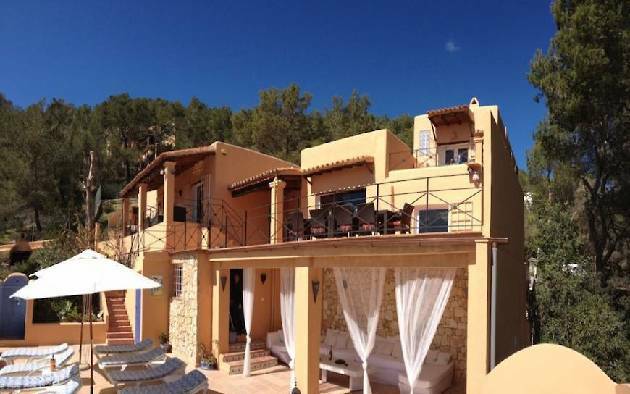 Located on the west coast of the island in the middle of a pine forest and olive tercentenary of 4 acres, at hillside with a fantastic view over the islands , facing the sunset. Punta Galera and Cala Salada are located les than 800 metres. These two places are known as nicest spots in Ibiza. 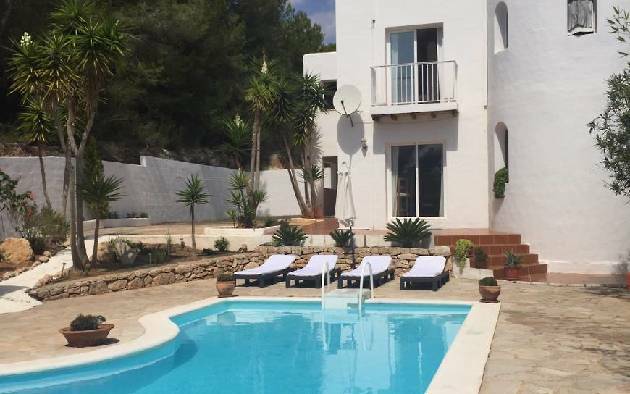 The house sits on top of a hill in the quiet area of San Agustin, municipality of San José, less than 5 minutes from San Antonio and 20 from Ibiza town. 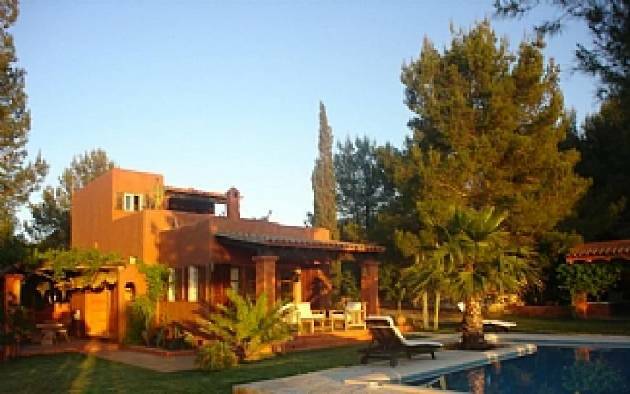 Beaches like Cala Bassa (5 minutes walk) and Cala Conta (within 10 minutes drive) are nearby. The architecture and style of this house in Holiday plays with volumes, walls and transparencies. The house has six bedrooms, six suites and two master. 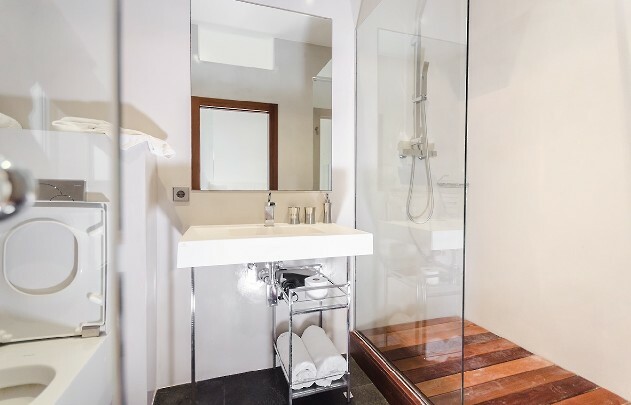 All rooms have direct sea view and private terrace. 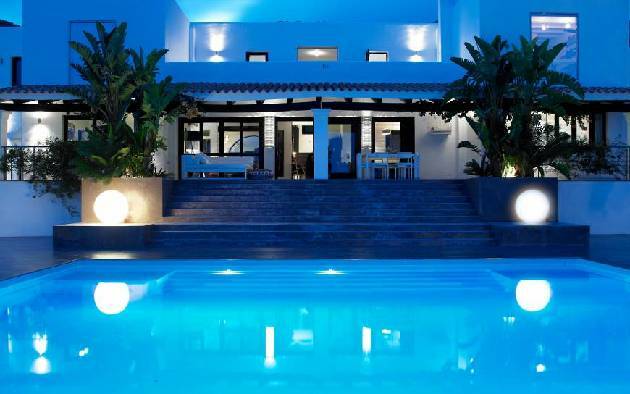 Stunning brand new luxury villa for rent in an exclusive development in San José. 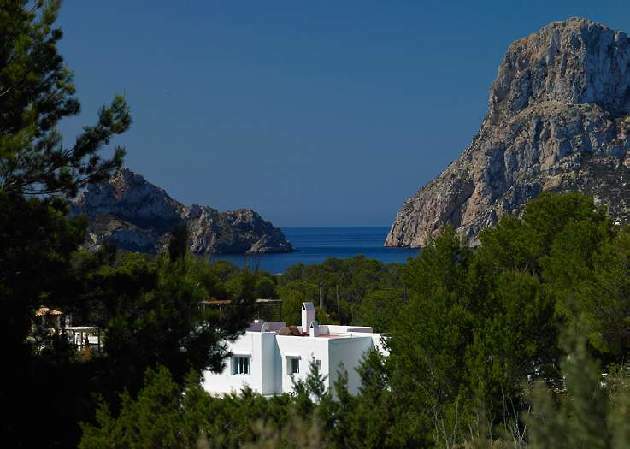 Close to the beaches of Cala Jondal, es Xarcu and Cala d’Hort. 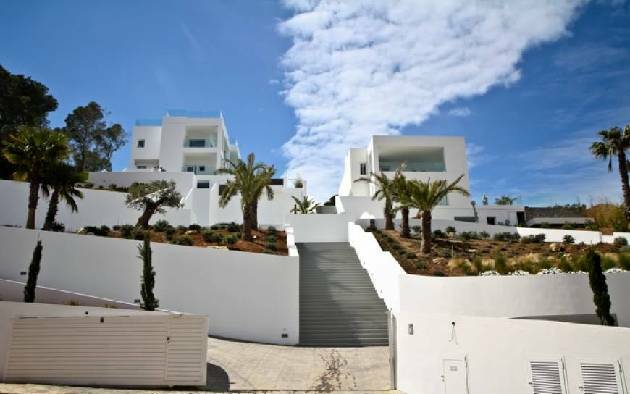 This outstanding contemporary property is in Vista Alegre, an area of Es Cubells. 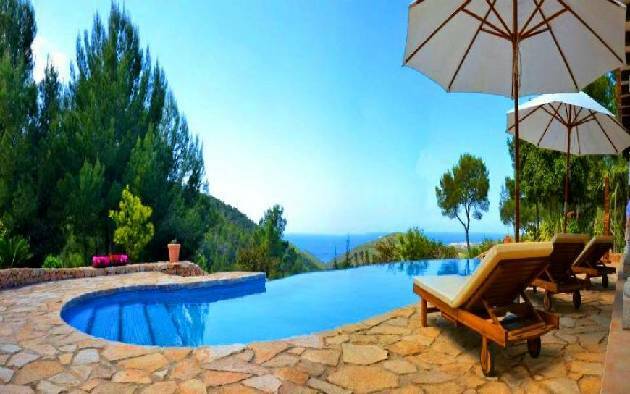 This beachside villa overlooks the Bay of Cala Jondal, the coolest and most exclusive bay on the island, with its variety of chic beach bars and fabulous restaurants. The famous Blue Marlin and Tropicana Beach bars are just in front of the villa. Enjoying an incredible location, Cala Jondal is the only bay on Ibiza to be designated a nature reserve. Dolphins can often be spotted, as well as the world’s most luxurious super-yachts. On one of the terraces there is a bespoke hot tub where you can sip cocktails under the stars and listen to the waves gently lapping up against the sands below. 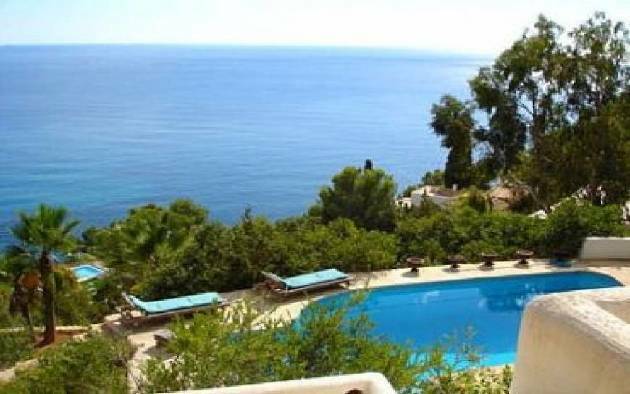 With two Butlers and a personal Chef, Villa Poseidon can offer the services of a five star hotel, with the privacy of a first class villa. 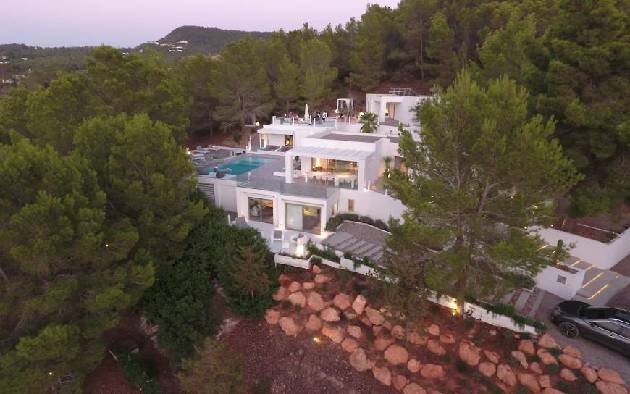 A spectacular Luxury "Morisia" located in the hills close to the stunning Cala Carbo beach which benefits from one of the most exclusive and private locations in Ibiza. 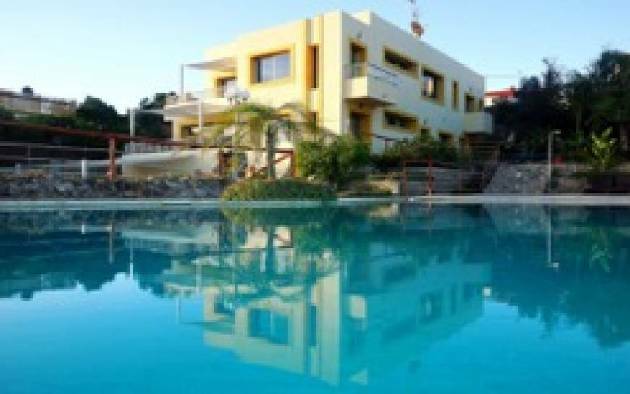 Villa Morisia is situated on an 11.000 m2 plot and distributes into three bedrooms with en suite baths in the main house, one studio next to the pool and another studio suite below the pool (450m2). 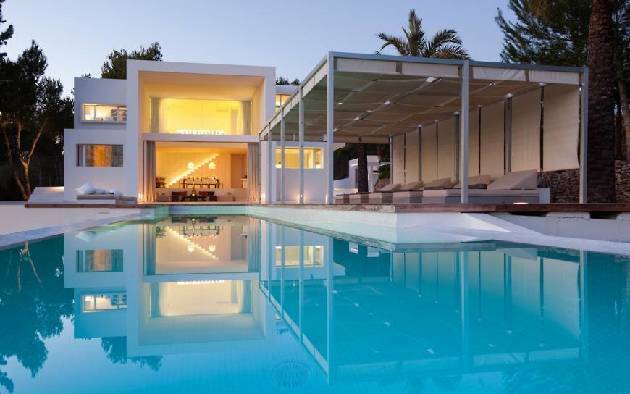 Villa Clarkia is a luxuriously decorated minimalist villa, located close to the village of San Josep on the south-west part of Ibiza, which provides plenty of space for up to 16 people in 8 luxurious bedrooms. 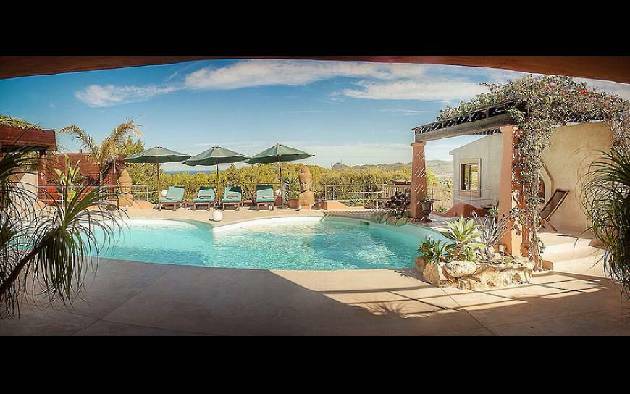 A guesthouse for 8 additional guests is also available. 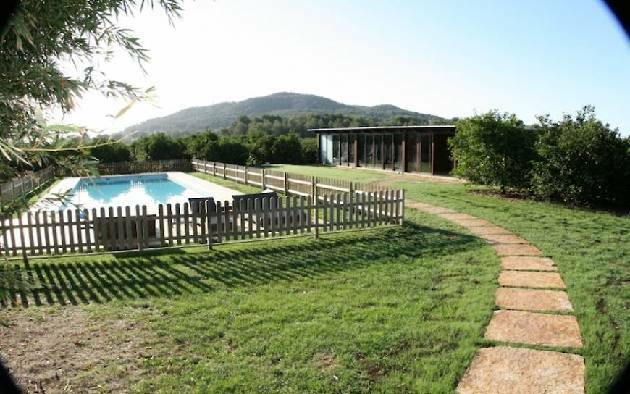 Situated on an isolated plot of 22.500sqm, this property offers total privacy with no closely located neighbours. 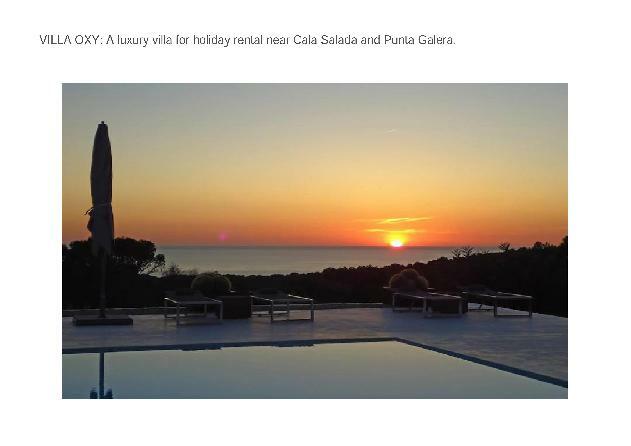 The villa also offers the most amazing views over San Antonio Bay with its dramatic sunsets. 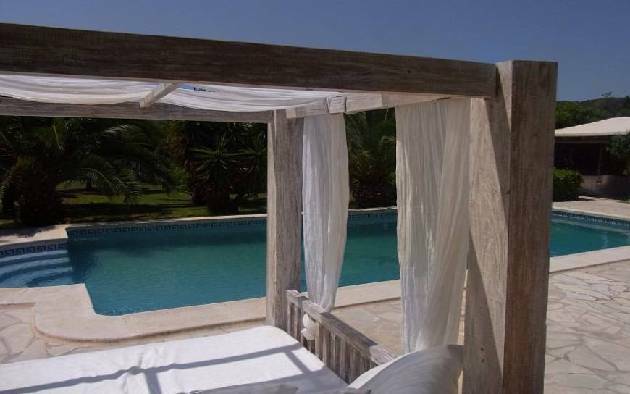 Most of the south and south-west beaches are located within a 10 minute drive of the villa. The airport is also just a 10 minute drive away. 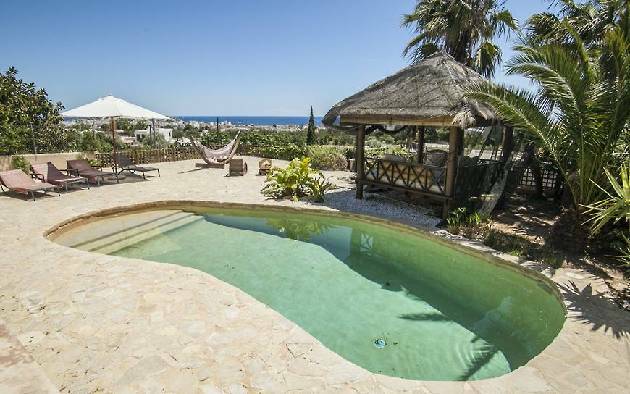 This stunning 5 bedrooms villa located in Cap Martinet with breathtaking view of the sea and Formentera and the private bay just 50m away makes this villa one of a kind. 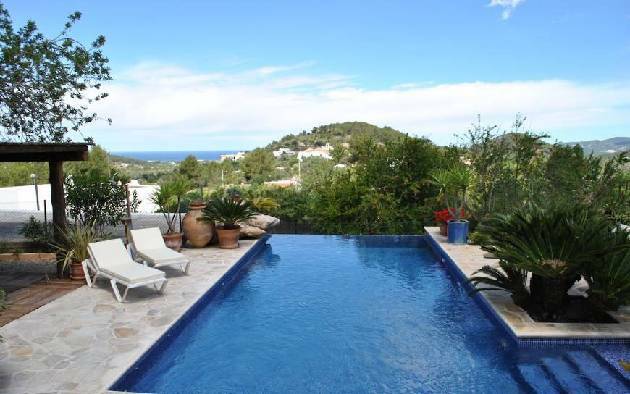 Only short driving distance from Ibiza town, the Marina Botafoch and Talamanca beach. 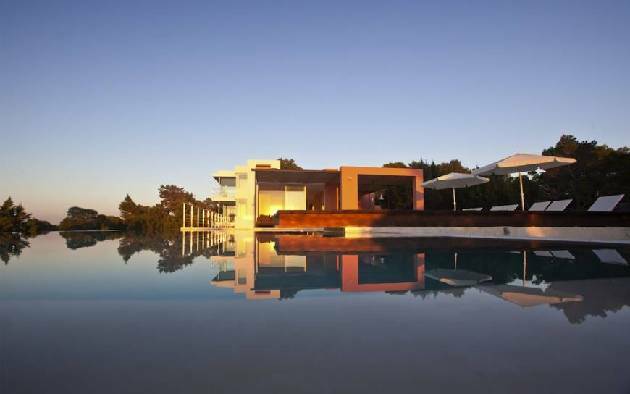 We find this modern luxury property in a quiet area of ​​San Lorenzo, one of the best preserved rural environments of our island. 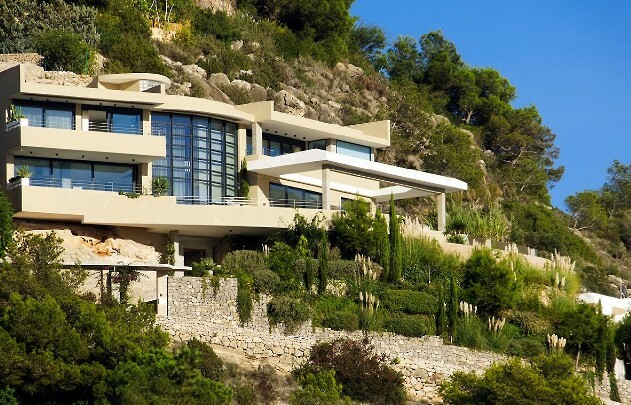 Designed around a central ecological theme, this unique villa seamlessly blends into its natural environment. Surrounded by 800,000 square meters of protected natural forest it boasts amazing views to the sea and spectacular sunsets over the mountains. 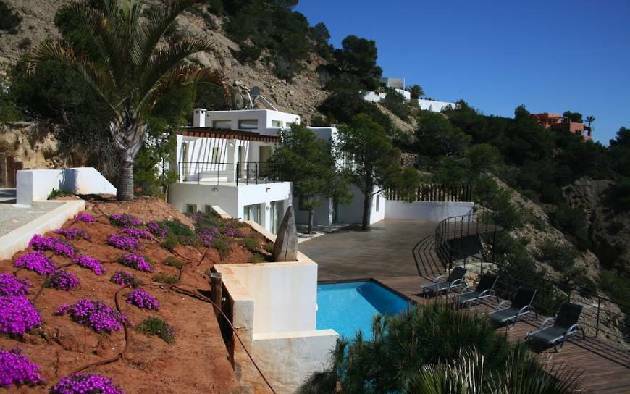 The property provides a perfect retreat for those seeking a private and secluded location in easy reach of the Cala Jondal beach and Ibiza Town. The location of the house is very central - and yet you have absolute privacy. It is placed in the middle of a natural reserve and you don't see any close neighbours or buildings from the house - only nature. From the main road you drive for one kilometre on a winding dust road into this protected land. 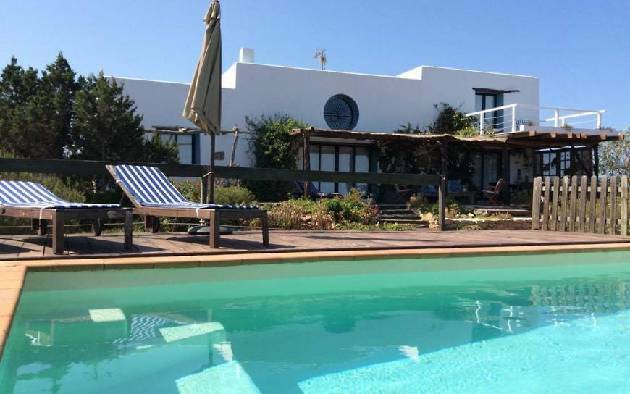 Even in August when the island is very busy you find full privacy and tranquillity at the house. The house has a large living area and dining room seating up to 14 people. 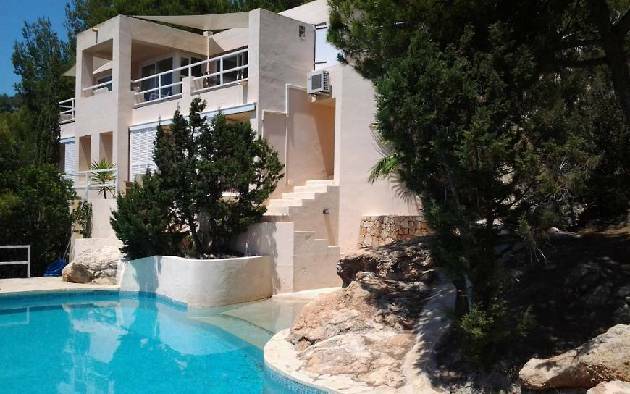 It has 6 bedrooms with 5 bathrooms four of them have private terraces and their own entrance. 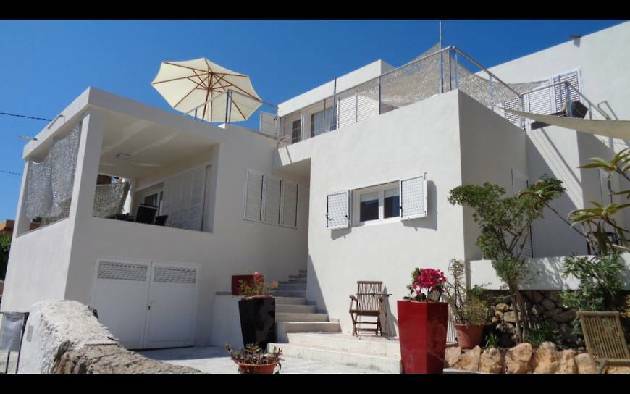 It has a 300 square meter terrace with sun loungers. 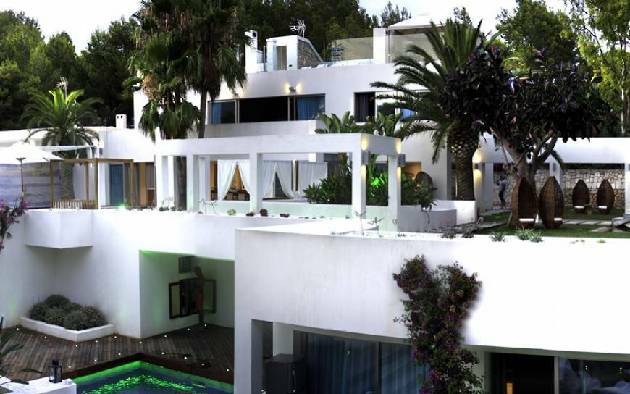 By night, the light design, transforms the villa providing a soothing and calm atmosphere making it one of Ibiza's most attractive and ambient villas.